So, here’s the deal: Orphan Black is this show where this girl, who’s totally normal and just wants to see her daughter, is waiting at the train station one night and looks over to see a woman who looks exactly like her jump in front of the train. She looks at the woman’s ID and is shocked to see it wasn’t a trick of the light. So she goes and tries to investigate who this woman is and when she gets deeper into it, she discovers that she’s a clone and there are other women who look just like her and some of them are dying. Did I get you to want to watch it yet? Maybe, or maybe not. In late 2012, BBC America started running promos for their newest original series Orphan Black. They took a minimalist approach to their promotion (and still do in a lot of ways). There was very little in the way of concretely describing what the show was about. By doing so, they made it more alluring to audiences to want to tune in. I remember seeing commercials running between shows on the station’s Supernatural Saturday block and Doctor Who and was intrigued. They simply knew what they were doing when they wanted to entice viewers. Like a good little lady, I recorded the show for my mom and I to watch together. Then, the episodes piled up and after fervent texts from my friend demanding I get it together, forget my mom, and just watch the episodes already, I went for it. I watched seven episodes without meaning to and I was practically salivating for the next episode. Sure, the premise of the show is a little murky for the first few episodes, but when both you and Sarah discover that she’s a clone, things start to make sense. That’s one of the most exciting aspects of the show itself; you don’t know anything until Sarah knows something. See, what BBC America did so brilliantly with this show is allow viewers to find the show on their own and through word of mouth. Even in a sci-fi loving world, a show entirely about clones can be a bit of a hard sell. I mean, if you had sold it to me that way from the beginning, I probably wouldn’t have tuned in. But because the show was shrouded in mystery, they quickly gained a legion of fans, known as the #CloneClub, clamoring for more. Orphan Black quickly gained steam and for good reason. Without the proper main character(s), the show wouldn’t have worked out properly. The casting of relative unknown, Canadian actress Tatiana Maslany, was absolutely amazing. 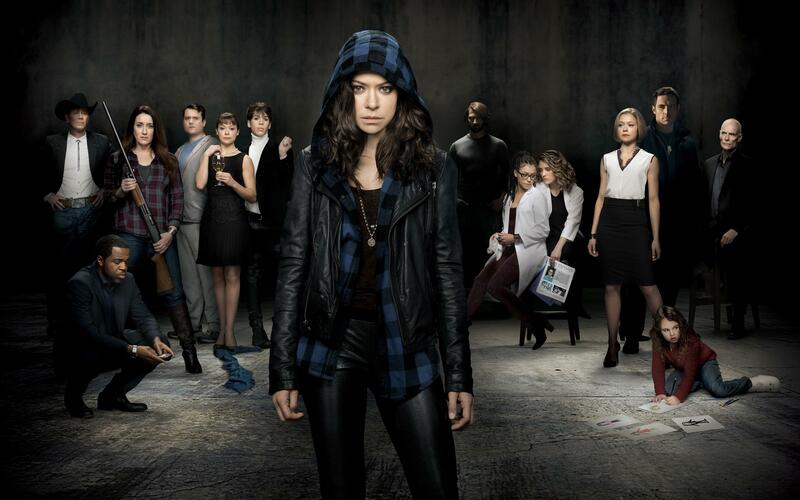 As the main character is a clone, Maslany plays a whole host of other clones, each with their own personalities, lives, and particular mannerisms – from the way they talk, to the way they fidget. It’s outstanding to watch Maslany play Sarah, Alison, Helena, and Cosima all in the same scene. You wonder how she’s even managing to keep each of them straight. What Maslany does on Orphan Black is truly incredible work that has sadly mostly gone unnoticed (apart from a few nominations) over the first three seasons. But as a character, Sarah wouldn’t be able to stand out if it wasn’t for the other characters being so perfectly cast also. The show stuck to casting those who have only appeared in a handful of other projects that we might recognize which is actually pretty smart. You don’t have the feeling seeing them somewhere else (apart maybe from Maria Doyle Kennedy, Mrs. S on the show, having been on The Tudors) and can have them fully immersed in their character instead of comparing them to their other work. Jordan Gavaris as Sarah’s best friend (and later Alison’s fantastic sparring partner) Felix brings a levity to the show that is needed among all the scientific jargon and dark subject matter. He’s sort of like the companion in Doctor Who, always making you laugh with his confusion. Dylan Bruce plays Paul who was “dating” the clone, Beth, who jumped in front of the train. I won’t spoil it for you, since I want you to watch, but suffice it to say that Paul is not what he seems to be. And as the series continued, we discover a huge piece of the puzzle that involves another character (played by Ari Millen). And it’s a testament to Millen’s abilities that he scared the crap out of me. But it’s not just the cast that makes the show so great. Those actors wouldn’t be so fantastic if it wasn’t for the incredible writing that the show delivers week after week. Since season the very beginning, they have managed to keep us on the edge of our seats with every new episode. The writers have created a formula that has us screaming at the end of every hour, and left us feeling an intense need for the next installment. As I said before, for the most part, the audience doesn’t know something until Sarah knows something. Throughout the series, we learn more and more and hope that she can figure those moving puzzle pieces out before problems arise and people get hurt. Of course, without those problems, the show wouldn’t be able to carry on, but we still cannot help but pull for our little band of clones. The mystery of Orphan Black and the hope that they figure things out links us to the show and its characters. Like its BBC America counterpart Doctor Who, Orphan Black focuses heavily on science. However, unlike Who, you don’t feel nearly as confused half of the time. Since the scientific aspect of cloning (including the side effects, how it works and why it didn’t before, etc.) is crucial to the show and its storylines, it’s important for the writers to make science as accessible as possible to the audience. There are times when I’ve been watching Doctor Who and I have to rewind once or twice and can still not understand how something works. The timey-wimey nature of the show can really throw you for a confusing loop. But on Orphan Black, I rarely feel as confused. The audience, in fact, feels smarter as we get deeper into the mystery rather than stupider. The science is explained, but not in a pandering way and not entirely through excessive exposition. This is a smart show that embraces its sci-fi in a way that doesn’t feel forced or overdone. In spite of all of the things I just noted, my favorite aspect of this show is the feminine power that it promotes. Each clone possesses a different form of strength, proving that every woman can be strong just as she is. Alison is a soccer mom who makes really great snacks, but can shoot any target and has a craft room for both kid’s projects and fake IDs. Helena is a trained assassin, but is also compassionate and fiercely loyal to her “seestras.” Sarah always wants to solve problems, while also making sure her daughter is safe. Cosima is incredibly smart and has unmatched wit in spite of her (often dire) circumstances. Rachel is the kind of businesswoman we all hate, yet also admire. Orphan Black proves that women can make a difference no matter who they are. It’s empowering to watch in a time when television is on the brink of finally showcasing the strength of women. For those not entirely sold on the sci-fi genre, Orphan Black is the show for you. If you want action, intrigue, smart writing, and an incredible cast, I could not recommend this show highly enough. Get your Netflix pants ready because once you start watching the show, you won’t want to stop.